The earliest known house built in what is now the hamlet and CDP of Hauppauge was constructed by Thomas Wheeler, for whom the town named for nearly one hundred years. In the late 18th century, the hamlet became split between the Town of Islip and Town of Smithtown and remains a part of both towns today. In 1843, the town’s name reverted back to its original Algonquin, Hauppauge, meaning “swamp” or “overflowed land.” Due to its relatively dense population, most of Suffolk County’s offices relocated from Riverhead to Hauppauge in the 1960’s. Today, the hamlet is known for having a respectable and very well-funded school district (containing one high school, one middle school, and three elementary schools) with several computers in each classroom and a robust selection of after school activities. Much of the funding for the school and its programs come from Hauppauge Industrial Park, which is the largest such development on Long Island and, by some estimates, the second largest in the country. The park serves as home to over 1,300 companies which combine to employ over 55,000 Long Islanders. Hauppauge has also been home to singer and lyricist Candice Night, actress Lori Loughlin, World Series-winning Mets third-base coach Eddie Yost, and World Series-winning Mets player and coach Bud Harrelson. 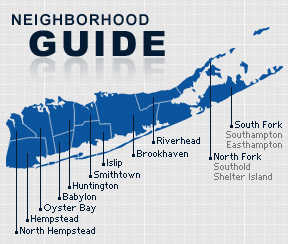 As of the 2010 census, Hauppauge had a population of 20,882 with 7,333 households and an average household size of just under three persons. The town’s median household income was $100,054 with males making $76,092 and females making $56,347.